By Sarah Hill September 23, 2016 September 22, 2016 Advocacy, College and Workforce Readiness, Funding, Government Legislation, Leadership, School Libraries, YALSA Info. What’s happening in your state with the Every Student Succeeds Act (ESSA)? This federal plan replaces No Child Left Behind, and includes language regarding “effective school library programs,” thanks to your advocacy! In Illinois, the State Board of Education (ISBE) is charged with creating the plan for implementing the ESSA. The Illinois School Library Media Association (ISLMA), with the help of John Chrastka from the nonprofit group EveryLibrary, worked hard over the summer to develop a plan to ensure that the ISBE includes school librarians as they implement ESSA. Now, as the ISBE holds listening tours all over the state, ISLMA asked for volunteers to speak up. Because my daughter needs a certified school librarian in her school with dedicated funding for library materials and services, not a paraprofessional trying her or his best with funding only from book fairs. Because I want my community college students to come to me from high schools with certified school librarians–too many of them don’t. And I can tell by the research questions they ask me at the reference desk and during library instruction sessions that they are seriously lacking in information literacy skills. Because I want to live in a community that values libraries of all kinds because of their ability to improve lives. Each speaker at the event could talk for 3-5 minutes, so I made my story personal. I’m a member of ISLMA, and, once registered to appear at a listening session, received talking points from the current ISLMA President, Patti Fleser. I was able to coordinate with other speakers before the session I attended at Effingham High School so that we didn’t duplicate each other. Because of my experience as a high school curriculum specialist, I discussed how school librarians are valuable to school improvement, serving as the natural curriculum and professional development experts in their schools, especially the small schools downstate. School librarians and a retired high school principal spoke concerning school libraries and how they support the concept of the whole child and promote the Illinois Learning Standards. Guests at the ISBE Listening Session also received updates about what’s happened lately. At its September meeting, ISBE adopted a college and career framework that consists of a benchmark for declaring a student “ready” for college and career: a 2.8/4.0 GPA, a readiness college entrance score on the SAT, two or more academic benchmarks or an industry credential, and two or more behavioral and experiential benchmarks. This led to several school administrators voicing their disagreement with this proposal, with one giving the example of a student who is an expert welder as a teenager. That student won’t be considered college and career ready according to this new proposal (especially if he’s a poor test taker), yet he’s already secured a career with a salary that will eventually pay more than most teachers. In reply, the ISBE officials reiterated that they welcome feedback, and provided an email address for citizens to send comments and concerns. If you’re concerned about the teens in your communities, these are the meetings that librarians need to attend! Superintendents, principals, teachers, librarians, the press, and local business leaders were in attendance, and the conversation before and after the event was uplifting and important. As members of YALSA, we #act4teens. We know that effective school library programs make a school more successful in preparing students for college, career, and life. 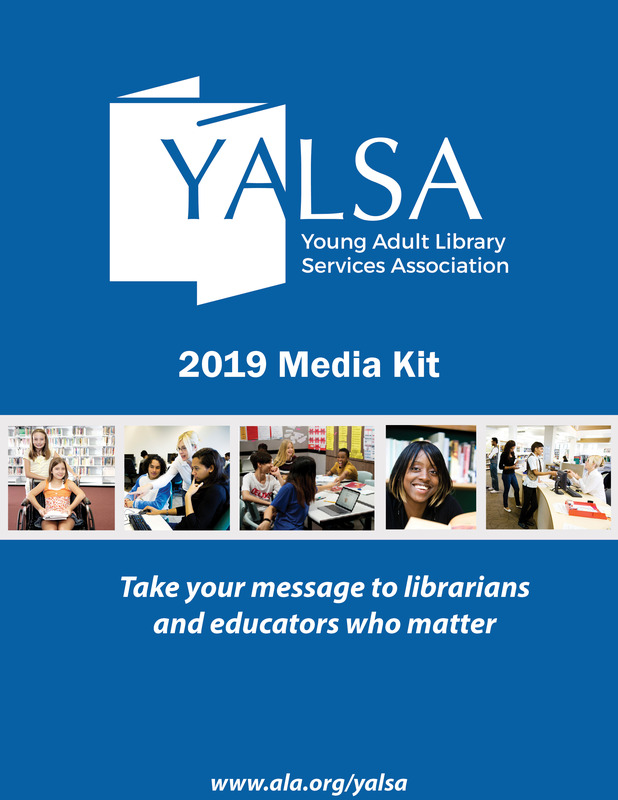 In the new YALSA organizational plan, one of the three priorities is advocacy to policy makers at all levels to increase support for teen library services. By attending this meeting, speaking up, and emailing comments to ISBE, I was able to advocate for libraries to employees of our state board of education. It didn’t hurt that I was able to build connections with community members concerned with the education of children and teens either. What’s happening in your state? Check out this blogpost from EveryLibrary to find an ESSA calendar for school library stakeholders and to find more information about ESSA in your state. What can you do to advocate the teens in your community? 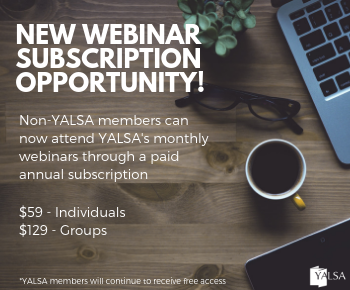 What does Radical Change Mean for YALSA and Teen Services? Right before Midwinter, I attended the Association of Library and Information Science Education (ALISE) conference. This year’s the theme, Radical Change, was in honor of Dr. Eliza Dresang who passed away a little over a year ago. Along with being the Beverly Cleary Professor in Children and Young Service at the University of Washington’s Information School, Dr. Dresang also served as former faculty at Florida State University’s School of Information (my current home). Her work has had an impact on many youth services researchers (including myself) and serves as framework for evaluating youth literature, both online and offline. 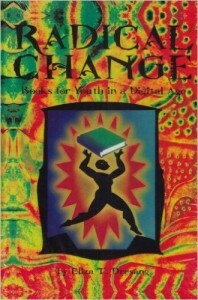 In 1999, Dr. Dresang published the innovative book Radical Change: Books for Youth in a Digital Age, a book that is still inspiring LIS researchers and librarians today. Radical Change refers to the way in which print books are changing in positive ways along with the evolving digital world. This book in not intended solely for academics, but also for librarians and teachers who learn how to spot and appreciate great books for children and young adults that move beyond the traditional print format. During the conference, I sat in on several youth services and non-youth services sessions that demonstrated how Radical Change is being incorporated into a range of research areas. To me, these presentations show how youth services are transforming to better meet the needs of young adults. It also shows how LIS faculty (at least some) are recognizing this transformation and incorporating it into their research and MLIS coursework. As always, the ALISE conference turned out to be an excellent lead into my experiences at Midwinter. Along with Radical Change, a supportive theme for the ALISE conference was transformation, inclusion, and innovation. These strongly reflect the theme of this year’s Midwinter, Transform Libraries. Together, these themes show how libraries are in constantly flux, changing and shifting to improve services to patrons and impact their communities. Now that District Days are in full swing and you have hopefully reached out to your representative, we wanted to provide some resources for you that will help you in your planning! And if you haven’t reached out yet, there’s still time. We hope that these resources will provide some inspiration. These handouts from YALSA are a great starting point when talk to your representative about libraries and teen services for libraries are not only important but necessary. What public libraries do for teens..
Then take a look at YALSA’s wiki page on advocating for more links and resources. Don’t forget to use one of your best resources that you have, your teens! If you have a Teen Advisory Board then talk to them and see if they have ideas. And just remember, you don’t have to do something big for District Days. The most important thing is that you reach out to your representative and #act4teens! Staci Terrell is the Children’s Services Manager at Anderson Public Library in Anderson, Indiana and is the current chair of the YALSA Legislation Committee. Thanks to technology and a wealth of resources available via the internet, youth have more ways to discover their interests and passions. Spaces across the YOUmedia Learning Labs Network, based on the principles of Connected Learning and HOMAGO (hanging out, messing around, and geeking out) provide spaces for youth to gather, collaborate, and learn by doing. With the guidance of caring, near-peer artist-mentors, teens explore animation, recording music, and writing poetry and music. YOUmedia successfully provides a way for youth to learn 21st century skills, which in turn can lead to more workplace opportunities. There is a need for developing a 21st century skillset, which includes “life and career skills, innovation, critical thinking, and information, media, and technology skills.” In essence, workers need to be able to adapt and think critically and differently about situations. YOUmedia has had success with this, encouraging youth to experiment with new technology and activities. Given the success of YOUmedia, how does one transform the “geeking out” stage of creation and production into a viable career path? For example, Salvador Avila, the Manager of the Enterprise Branch of the Las Vegas Clark County Library District and mentor at the Las Vegas-Clark County Library District, saw how youth were constantly plugged into their music players, so he began teaching DJ classes. Organizations tapping into the successes of the YOUmedia Network are the Cities of Learning Network and twelve new user-centered spaces funded by the Institute of Museum and Library Services and the MacArthur Foundation. The Los Angeles Summer of Learning encourages youth to explore and develop their passions in coding, community action, media, sports, and other interests, and learn how it relates to their career or academic future. Youth aged 16-24 can participate in the Workforce Readiness Challenge, where they learn job skills, interview skills and financial literacy. A project that our office is involved in is the GRIT Lab – a teen community center in the South Bronx that will be a place to connect youth to out of school learning and workforce opportunities. Across New York City, there are 172,000 out-of school and out-of-work 18-24 year olds. Some of the challenges that out-of-school and out-of-work youth face result from a lack of interest-driven opportunities, workforce development programs, and a supportive learning environment. Working with key organizations in the South Bronx like DreamYard and New Visions for Public Schools, we observed how an advisor figure positively affects the student’s academic and personal growth and chances for success. Advisors are a crucial aspect of the youth development process because they are instrumental in advocating for and making sure students are on a path to success in their education. An advisor who works with and supports the student’s customized pathway from the interest-driven to career-driven stages would be ideal, and they could be a resource to connect different resources. 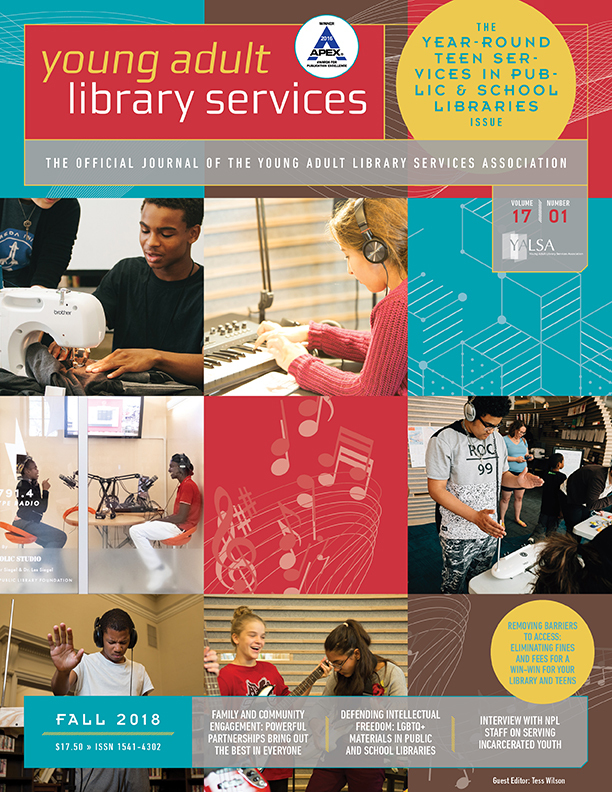 I learned about the YALSA The Future of Library Services for and with Teens: A Call to Action report through colleagues in the YOUmedia Learning Lab Network when I was managing the Maker Jawn Initiative at the Free Library of Philadelphia. The report affirmed so much of what we had been discussing as a network; connected learning, librarians taking on the role of facilitators and co-learners rather than experts, rethinking staff models, and more. But in Philly, the report didn’t go far enough. We wanted more than a paradigm shift. Maker Jawn’s goal was to break down hierarchies in libraries by eliminating the top-down approach to staff management, and top-down teaching in a library (where knowledge is typically transferred from librarian to youth). Our team believed that while these institutional hierarchies existed, they would continually reinforce each other resulting in no true innovation, regardless of new technology or language to reframe learning in informal spaces. Maker Jawn’s solution to this problem was to collectively rethink staffing. At its heart was the concept of the co-op: a team where everyone involved has a stake in the maintenance, effectiveness and deepening of the group as a whole. It required everyone in Maker Jawn to be completely on board. This involved a lot of collegiality and community-building amongst the staff themselves; they had to respect each other as equals, and acknowledge that they all brought different strengths and ways-of-getting-things-done. This also involved a lot of collective learning. We developed “tinkering sessions” in addition to weekly administrative meetings, where each week one member of the Maker Jawn team brought a new medium, tool, or technique they wanted to teach. In this second blog post on creating inclusive libraries, we examine the need to identify and remove barriers, and have an expanded definition of ‘the library as a safe space’. Physical barriers can be easy to spot and can include, for example, detectors and late fees. Consider the unwelcoming message that detectors—particularly those with a ‘push’ gate—can send about libraries, especially for teens who may regularly be followed in department stores. We must recognize that these kinds of microaggressions are daily experiences for many youth, especially male youth of color, and must be mindful not to replicate them in our libraries. We must also realize that late fees represent a financial burden for some teens and their families causing teens to forego visiting the library, and ask ourselves, what other strategies might we use? Finally, our libraries must be physically and intellectually accessible for teens with disabilities (and, of course, stocked with literature that reflects their lived experiences). Project ENABLE provides free training to help librarians create more inclusive libraries that address the needs of youth with disabilities. Other barriers are more difficult to unpack, but include library policies or procedures that inhibit teens from visiting or participating. For public libraries, this could manifest as an address requirement for receiving a library card. Teens experiencing homelessness would be unable to fulfill this requirement and thus be denied access to essential public library resources including computer time and material checkouts. For school libraries, perhaps a strict atmosphere of ‘shhh-ing’ is excluding teens from joining in library activities. Janice Hale (2001) reminds us, for example, that African American youth “participate in a culture that is highly dynamic. They thrive in settings that use multimedia and multimodal teaching strategies. And they favor instruction that is variable, energetic, vigorous, and captivating.” Do our libraries support this? Barriers can also exist in programming. Are we scheduling programs at times that allow teen participation? Are we taking into consideration the public transportation schedules? Are we offering programs at locations in the community, rather than expecting teens to always come to the library? Are we coordinating our teen programs with our programs for children so that teens who are responsible for taking care of siblings can attend? Breaking Barriers: Libraries and Socially Excluded Communities explores ideas related to this topic specific to public libraries. By Guest Blog March 7, 2015 March 16, 2015 Committees and Volunteer Opportunities, Teen Services, YALSA Info. The growing conversation surrounding the need for diversity in teen literature is wonderful—it is essential, it is long overdue, but it is only a starting point. Wait, what? Yes, a starting point. If we are not using those diverse collections in our library promotions, programming, and reader’s advisory with all students, we are diluting their influence. Furthermore, if diverse collections are housed in libraries that are not inclusive and welcoming to all youth, then we are negating the power of those collections. YALSA’s The Future of Library Services for and with Teens: A Call to Action details even further the significant shift in the demographics of teens. To paraphrase Ernest Morrell (2015), our multicultural America is in our libraries no matter where we are. Library collections obviously need to reflect the diversity of our nation. But that is just the beginning. Public and school libraries must be inclusive. Inclusive libraries are staffed by librarians who are culturally competent, use their diverse collections with all teens, identify and remove barriers, and have an expanded definition of ‘the library as a safe space’. In this two-part blog post, we will briefly examine these components. Our goal is broaden the conversation about the needs of diverse youth beyond diverse literature, and to highlight the need for librarians to engage in discussions about equity and inclusivity. 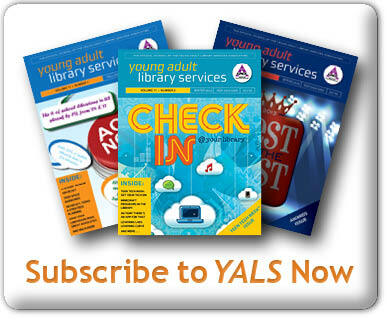 #act4teens: The YALSA Future of Library Services for and With Teens Report: Resources to Help You! 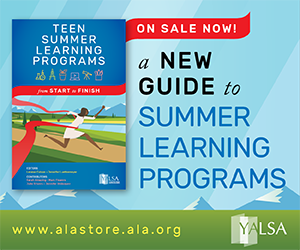 In 2012 and 2013 through funding from the Institute of Museum and Library Services, YALSA embarked on an ambitious journey to create the National Forum on Libraries and Teens. Its culmination was The Future of Library Services for and with Teens: A Call to Action, or Futures Report for short. The report’s purpose is to provide a roadmap for 21st century teen library services. Its hashtag, #act4teens, boldly reinforces the report’s subtitle. For me, #act4teens is akin to the Yoda quote, “Do. Or Do not. There is no try.” We must act to move teen services in our libraries forward. YALSA and the Future of Teens and Libraries Taskforce created several #act4teens resources that can be found on the National Forum on Libraries and Teens’ shared resources page, which directs you to three types of tools designed to help you #act4teens at your library and in your community. Canned presentations to use when you present the report to others and again can be used with a variety of audiences. A tip sheet geared specifically to help you bring the ideas of the Futures Report to administrators. The tip sheet provides strategies for starting a dialogue with your supervisor about the report and its implications. It also provides steps on how to start moving forward to reimagine services for and with teens in your community.